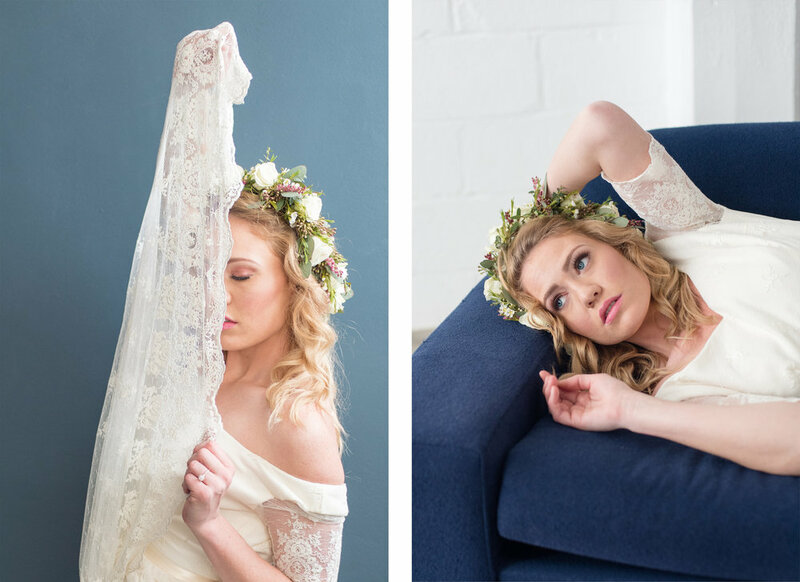 Here is part two of the styled shoot I attended earlier this month! Typically I prefer to photograph outdoors as much as possible because I am a lover of light! Give me all the natural light! 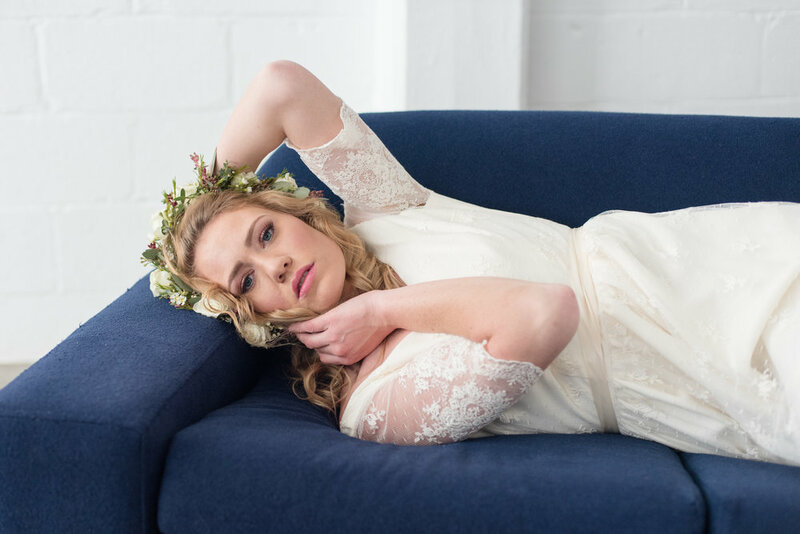 This was a fun shoot because it was all the beautiful natural light I love, (and lots of it) but it was all indoors. Miesh Studio in downtown Salt Lake City is a studio I had not heard of before but definitely fell in love with! With the entire south wall covered in bay windows, the lovely light filtered in so perfectly. 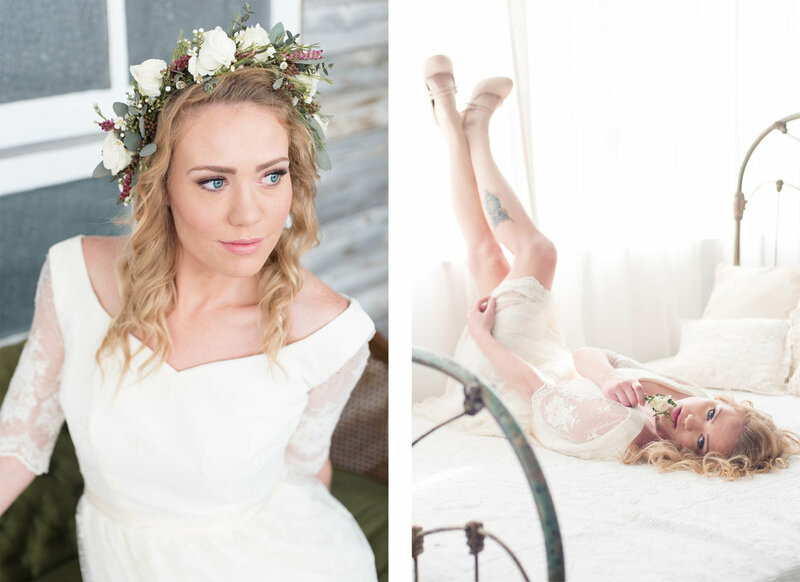 Add in a gorgeous bride and it makes for the perfect bridal shoot. 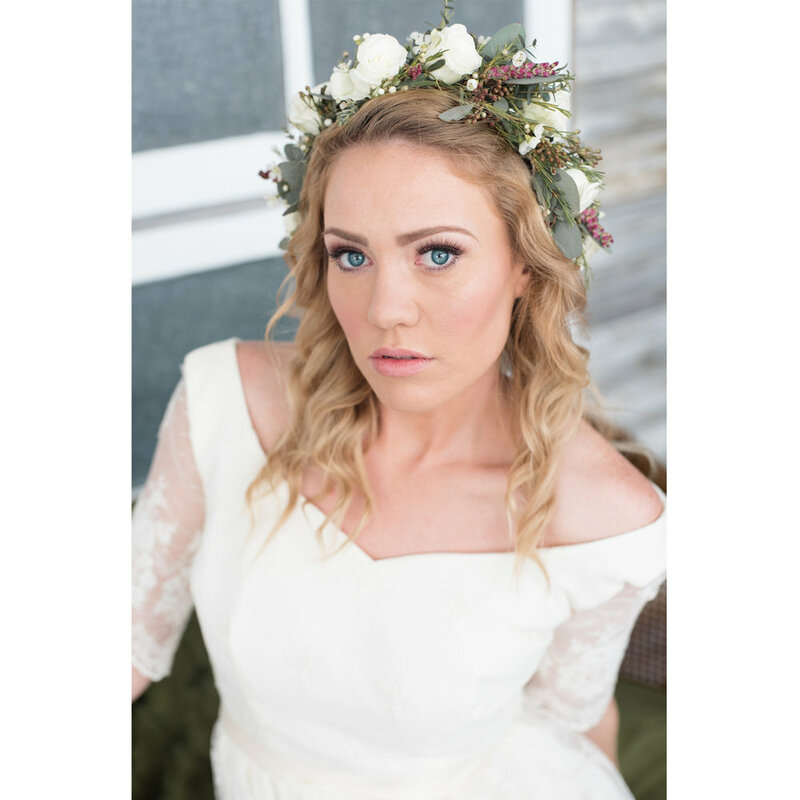 As with every styled shoot it takes a team to make it all come together. 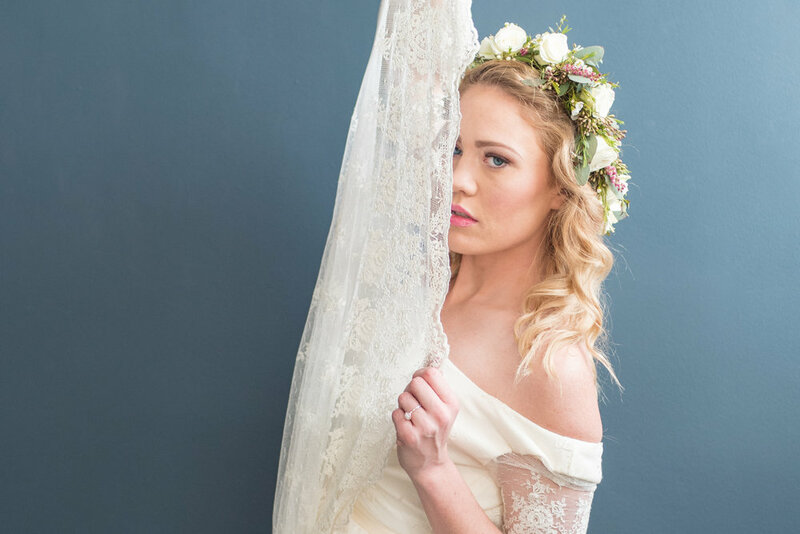 Each vendor did their part flawlessly, from hair and makeup, florals, gowns and models. You can check out the vendors involved at the end of the post. 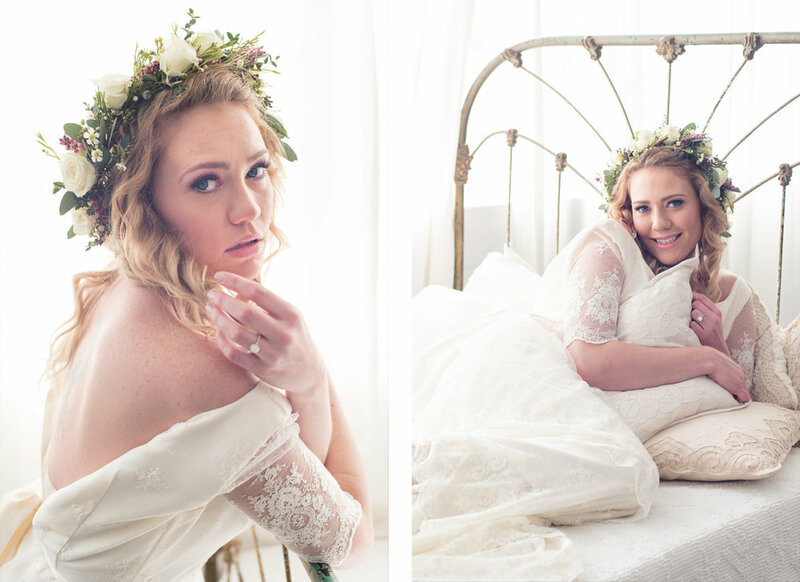 In the mean time, scroll though these photos and enjoy the lovely Elisa who makes a stunning bride.